What is Tanam in Music? What is Tanam in Indian music ? Is tanam used in Cinema music ? i.e After Pallavi of a song a piece of music playing it might be 8 bar or 16 bar etc. Is it Tannam ? Tanam is one of the methods of improvising a raga(which is called manodharma) in carnatic music. There are various tanams like vadhya tanam, aja tanam, gaja tanam etc. Tanam comes after the raga but before the pallavi of a song. To sing a tanam one should have good hold on singing and experience. It is rarely being sung by any musician. Thanam is a specific kind of improvisation in Carnatic music. It is rhythmic, but not bound by meter (Thalam). Tempo varies within the performance. Unmeasured pauses are allowed between phrases/sections. After Pallavi of a song a piece of music playing it might be 8 bar or 16 bar etc. Is it Tannam ? No, that would be an interlude. Not the answer you're looking for? Browse other questions tagged terminology indian-classical or ask your own question. Is there indian music that is not “mono chord”? How to transcribe Indian classical music using Western music notation? What is the relationship of raginis to ragas? What is the Western equivalent scale of Indian Raga Mayamalavagowla? How did the harmonium and violin become an integral part of Hindustani music? 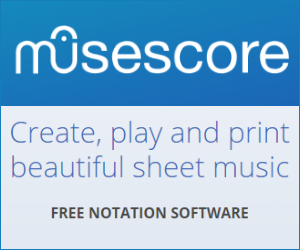 How to write Indian Classical Music Notation on Computer/Digitaly?